This hymn was sung during our recent visit to Moody Bible Institute at the close of the Alumni Banquet. I am familiar with this hymn, but was really drawn to the words when we sang it this time. I love the words. The hymn was written in the early 1900's by Kate B. Wilkinson, who worked with young women in London. Other than that, not much is known about the background of this song, or of the author; but, again, I love the words. Each stanza of this hymn is like a prayer based on Scripture. You will see I have included one Bible verse under each stanza that could easily go along with the words. Philemon 1:4-5 - I always thank my God as I remember you in my prayers, because I hear about your love for all his holy people and your faith in the Lord Jesus. Hebrews 12:1-2 - Therefore, since we are surrounded by such a great cloud of witnesses, let us throw off everything that hinders and the sin that so easily entangles. And let us run with perseverance the race marked out for us, fixing our eyes on Jesus, the pioneer and perfecter of faith. Mark 16:15 - He said to them, "Go into all the world and preach the gospel to all creation." 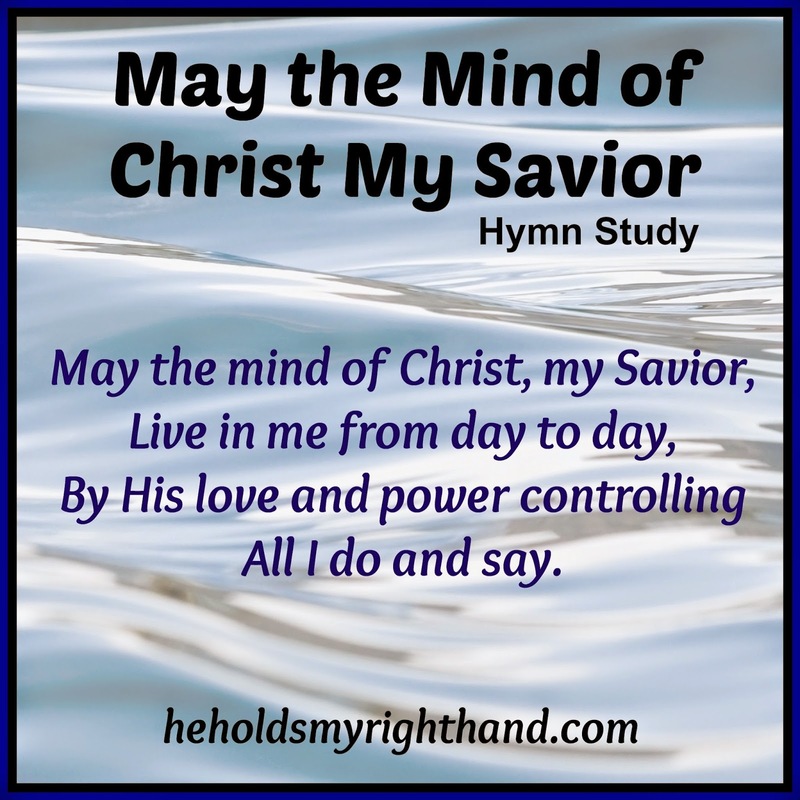 I am not familiar with that hymn but its words are very true and encouraging.